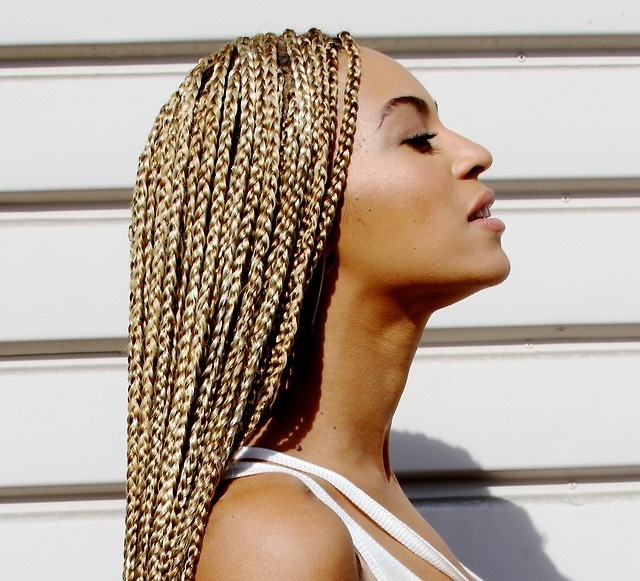 Beyonce Sporting New Golden Braids! Beyoncé posted new photos on her official tumblr page. Mrs. Carter looked flawless with no makeup!She’s rocking a simple white tank and black leather leggings with zipper detailing! She also rocking long golden braids! Looks like someone is getting ready for the summer early. What do you think about Queen Bey’s new look? This entry was posted in Beyonce, Fashion, Hot Topics, Music and tagged Beyoncé, fashion, iam.beyonce.com, tumblr by itstheplug. Bookmark the permalink.